Nikola Motor Company, the guys behind the Nikola One all-electric truck have launched a new vehicle. Let's just say it's a little different from the One. It is a UTV (Utility Task Vehicle) called the Zero. It seats four and has the same number of electric motors (one for each wheel) which make 527PS of power and 645Nm of torque. The Nikola Zero can sprint to 100kmph in three seconds flat. Its 400 volt motor delivers 152PS per wheel, giving each wheel independent drive and an option of four wheel steering. The Zero has a 72-kWh battery which will give it a range of anywhere between 160 -320 kilometres on a single charge. It can come with an optional solar panel roof, which increases the range by up to 16 kilometres per day. This panel mainly powers the 12 volt charging sockets, but also provides power to the main 400 volt battery. So, depending on weather conditions, it is able to generate 3 kWh of energy. This is about the same as 1.6 kilometres of driving for every hour of sunlight. Charging can be done with three different power sources, the first with a 400 volt generator, where charging will take two hours. The second is with a 240 volt power outlet, where a full charge will take seven hours. The final option is with the 110 volt power outlet, where it will take 14 long hours to charge. The disparity in charging times is due to the electrical outputs of the different power sources. The 400 volt generator has the highest power output and as a result, it takes the least amount of time to charge. The 110 volt outlet provides the least output and so, the longest amount of time to charge. The components are all IP67 rated, making them water resistant, enabling the Zero to be driven through water. Although the Nikola Motor Company doesn't recommend driving through water for safety reasons, but knowing that you are protected from these elements makes the going easier. That being said, the Zero seemingly will be an incredibly capable off-roader. With 20 inches of suspension travel and 368mm of ground clearance, it is hard to imagine that it will easily get itself stuck. 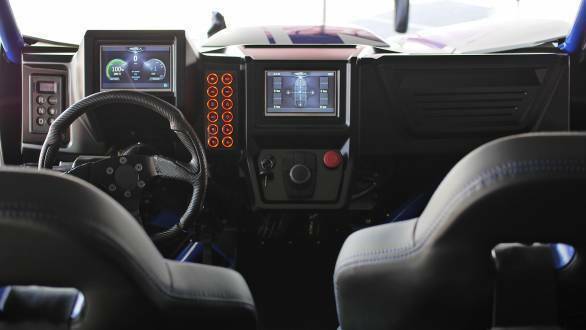 The Zero comes with two 7-inch screens, one which replaces the instrument cluster while the other is in the centre console. Seating is provided by Beard and comes equipped with four-point harnesses to prevent you from falling out of your seat. 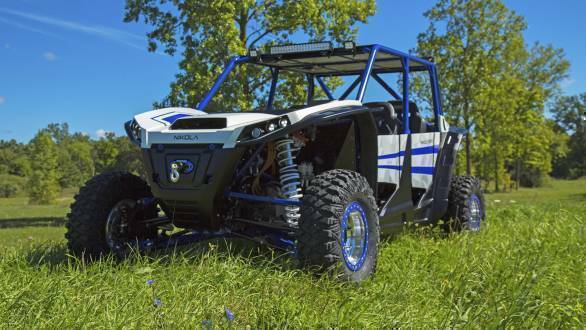 The Zero was launched at the Sand Sport Super Show in Torrance, California and will be priced at $37,500 (approx Rs 25 lakh). 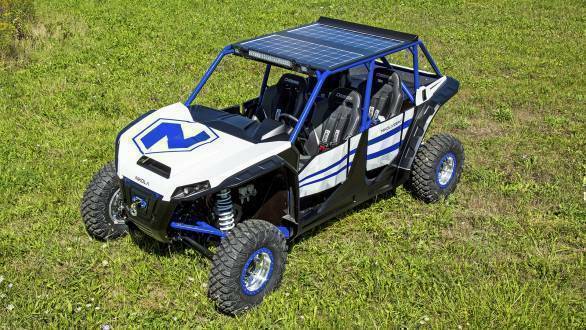 The Nikola Motor Company are accepting 100 per cent refundable deposits of $750 (approx Rs 50,000) for those who want to reserve their Zero UTVs.